Leather care depends on the type and type of leather. Leather types are divided into smooth and rough leathers. Leather types include calfskin, cowhide, deerskin, horseskin snakeskin, etc.However, one and the same type of leather can be tanned and prepared in different ways, e.g. 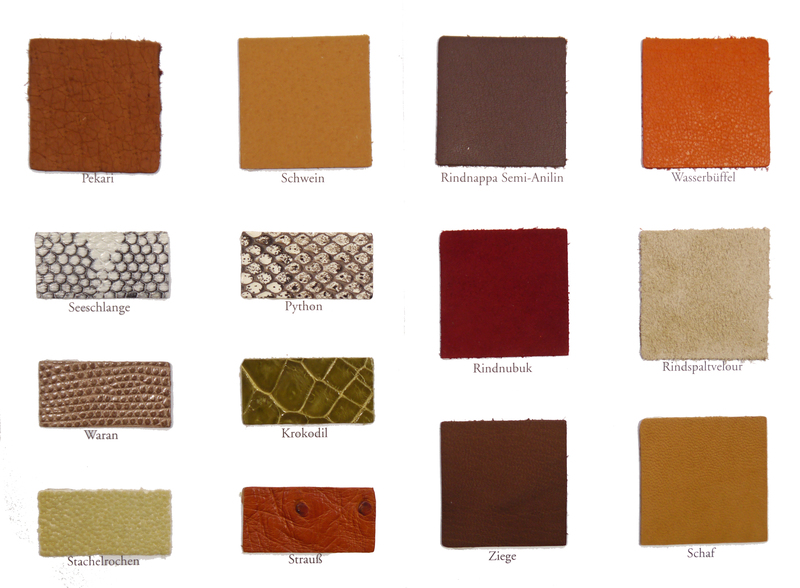 cowhide, which is tanned vegetable (vegetable) once, aniline or mixed and prepared differently as oiled leather, etc..
Then there are the leathers with scales like crocodile, alligator, snakes, lizards and fish leather. suede or nubuck is the term used for all types of leather that have been sanded or roughened. If the surface is only slightly sanded and feels velvety, we speak of nubuck leather.If the fibres are slightly longer and coarser, then suede leather, also called suede. and in contrast the horse leather, often aniline or mixed tanned and differently prepared.Both differ considerably in their care – the details can be found under Shell Cordovan or Smooth Leather. Gloves are often made of a very thin goatskin, a smooth leather but much thinner than calfskin as used in shoes. Therefore gloves require a completely different care than shoe leather – not least because shoes should shine and therefore need a thin wax layer on the leather while this is absolutely not desired with gloves, also so that the wax does not rub off on the clothing. Matte leather – a typical example is ostrich leather, which must also not shine or stain on clothing when made into a handbag. This consideration of leather types, tanning processes, finishes and leather dyeing could be greatly expanded – but this would be more irritating than beneficial to the reader. Since there are so many types of leather and types of leather, there should be just as many care products for it, and these in so many colours.However, this is simply and simply not feasible. a colourless shoe polish and a colourless leather cream or a colourless care lotion?All three are white in the jar. scale leather like Croco, Python etc. All things made of leather are cared for before their first use. This applies to leather shoes as well as leather bags, purses and belts. 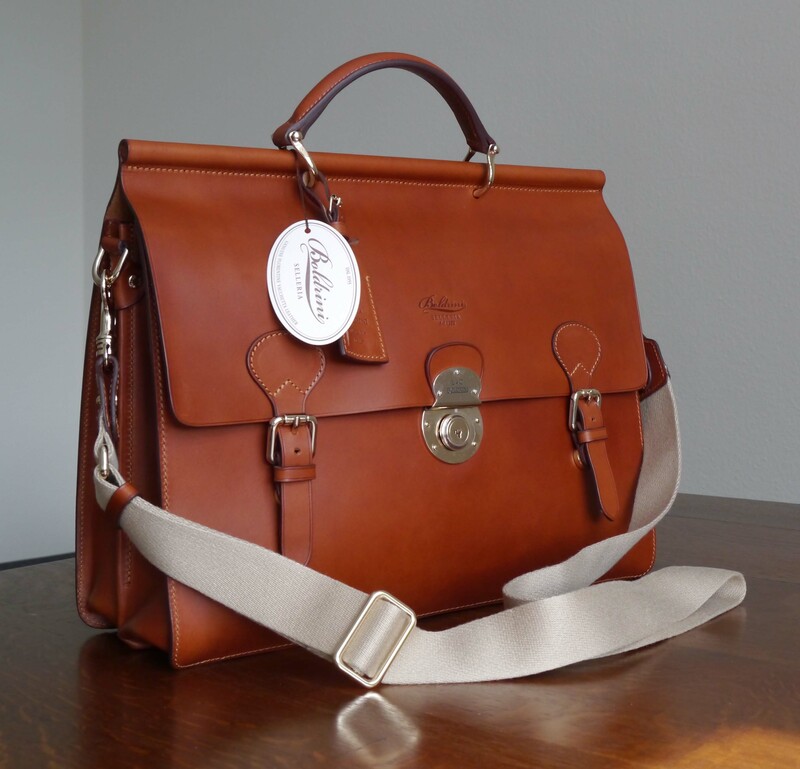 New leather goods – whether shoes or bags are made of relatively dry leather – you can believe me. The reason for this is simply that leather with a higher moisture and thus higher elasticity would be quite difficult to cut to size for e.g. stock exchanges or, in the case of shoes, would mean a considerable additional effort for pinching and re-tweaking (fastening the leather shaft to the last with nails). New leather articles eagerly soak up any liquid they come into contact with – this would be rainwater for shoes and hand perspiration including hand grease for bags. Rainwater evaporates quite quickly on and from the shoe upper leather, also does not give the leather any permanent elasticity. Hand sweat and hand grease make the leather as unsightly as the handle of the briefcase or the hangers of the handbag very quickly, because darker than the rest. Delicate Cream – a colorless and wax-free care cream. and finally rub the articles with the Delicate Cream to remove the wax layer again in order to avoid abrasion on the clothing. If you follow these two tips, you will enjoy your leather things for a long time.